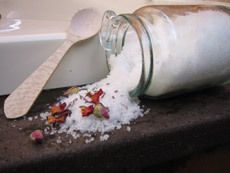 Our bath salts are a fragrant mix of salts and essential oils. These highly aromatic baths are relaxing & soothing. Great Scentsations Bath Salts are available in 4 oz and 8 oz sizes.